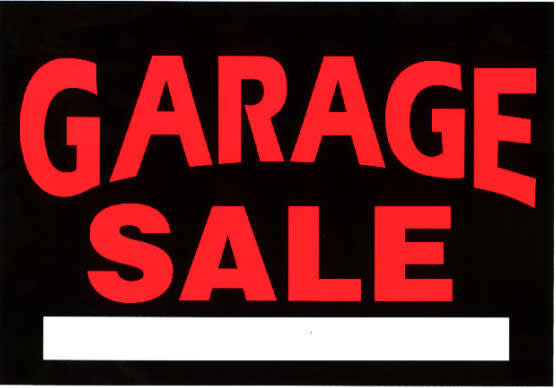 Garage Sale's are not all that common to find guitar's and amp's at but do not let that stop you from visiting each and every one of them. Garage Sales are obviously the product of people realizing they can make some quick cash from years of being pack rats. But why bother looking when most of them just sell old dirty baby stuff and clothes? Well some times some of that stuff is guitar's and amp's that have been given as gifts or bought to learn but never used so they were put in storage or in the garage and closets just collecting dust. The thing about the people that do this is most of the time they have something that is actually really good and do not realize what they have. Its unlikely but possible that you could walk into a garage sale and find something such as a Fender MIM strat selling for $100 that just needs some new strings. There have even been occasions where I have seen people selling $300+ guitars for $50. Again its very unlikely you will find this but it does happen. If your family likes to hit up the garage sales every week then go with them, you wont know what is to be had till you see it for yourself. Do not show how interested you are as this may cause the price to go up on the spot. Yes that last one is true, people are jerks and if they see a surprised look of disbelief on your face they are going to start jacking up the price tag on there stuff.